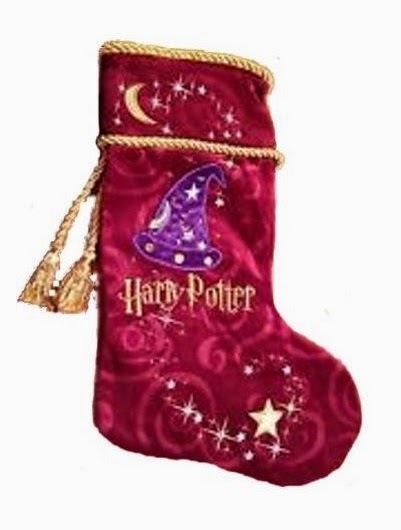 Every true Harry Potter geek should own one of these Christmas stockings to hang on the mantle at Christmas time. This Christmas stocking is a velvet one that was originally sold by Warner Brothers. It is a classic red stocking with braided gold trim. It features a moon and stars, a purple wizarding hat, a hanging loop and tassels. It seems that this stocking is fairly limited in supply. As I write this, you can find it here on Amazon but not on eBay though you will find a great supply of Harry Potter Christmas stockings on eBay by clicking here. Would you like to own a Harry Potter themed Christmas stocking?